Evening dress outfits are unique outfits worn by women for a mixture of social events. Choosing the right type of dress is crucial for any event as it conveys your character and fine flavor in outfits and fashion. If you are looking for an elegant evening dress, then you should check out this place called us.ever-pretty.com because you will be amazed with their great selection of evening dresses to choose from. 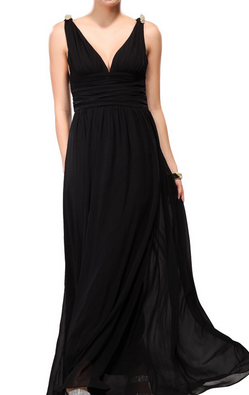 Just like what I received, the Black Double V Elegant Evening Dress, which is available in a wide range of styles, styles, shades, shapes and sizes to suit different body shape and choices. I love this evening dress, it’s just so elegant and classy looking that every women would love to wear it and you know what makes this evening dress perfect? 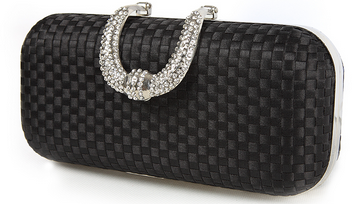 It is that having this Rhinestones Black Satin Hand Shoulder Wedding Party Clutch Evening Bag! If you want to browse for other classy looking dresses, then I suggest you check out this place, us.ever-pretty.com and follow their social media outlets like Facebook and Twitter to get the updated styles and fashions for women at very affordable prices.